The scared valley is situated in the Peruvian Andes. 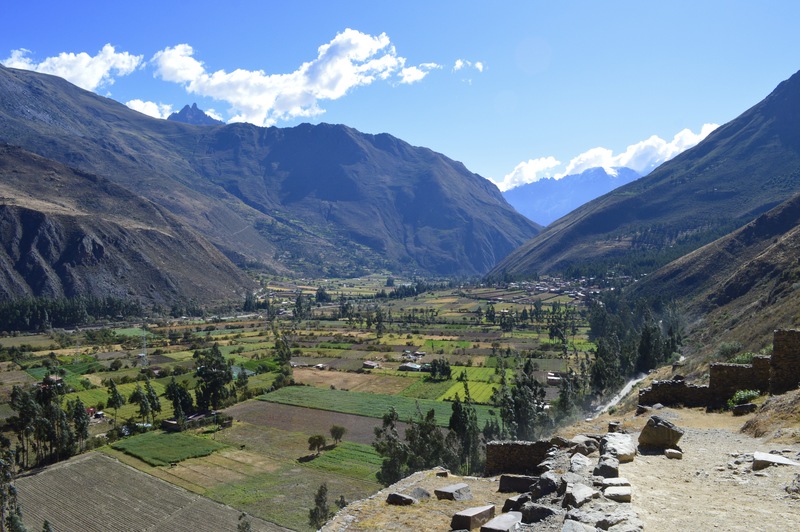 This valley has a lot of significant meaning for Andean people and holds a lot of Inca history. 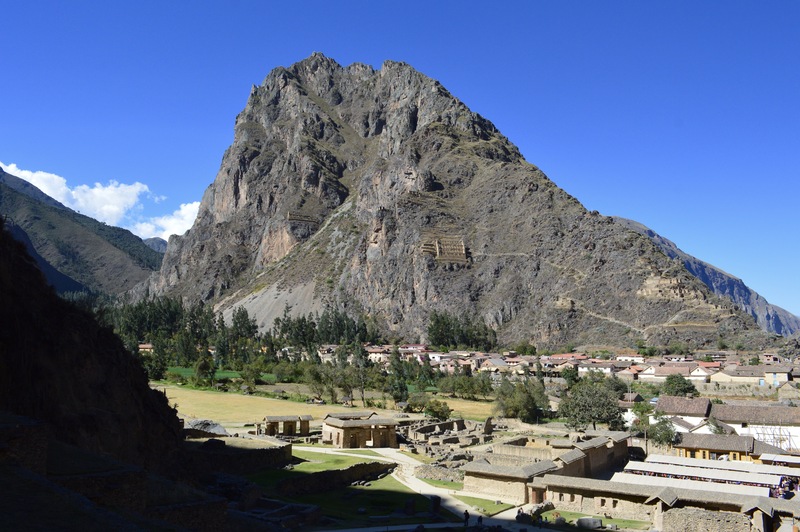 This valley includes everything from the ruins in Pisac to Machu Piccu which covers a distance of 100 km. We visited the Sacred Valley with Eco Tours. 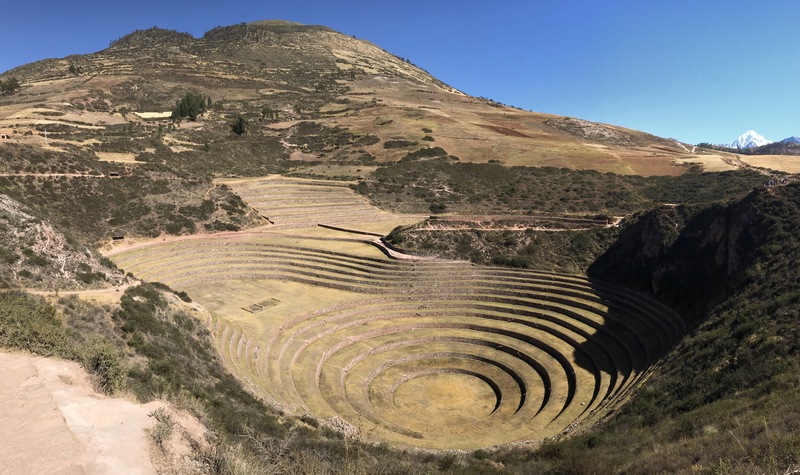 This was a fantastic one day tour that allowed us to visit Chinchero, Moray, Salineras de Maras, Urubamba, Ollantaytambo and Pisac. 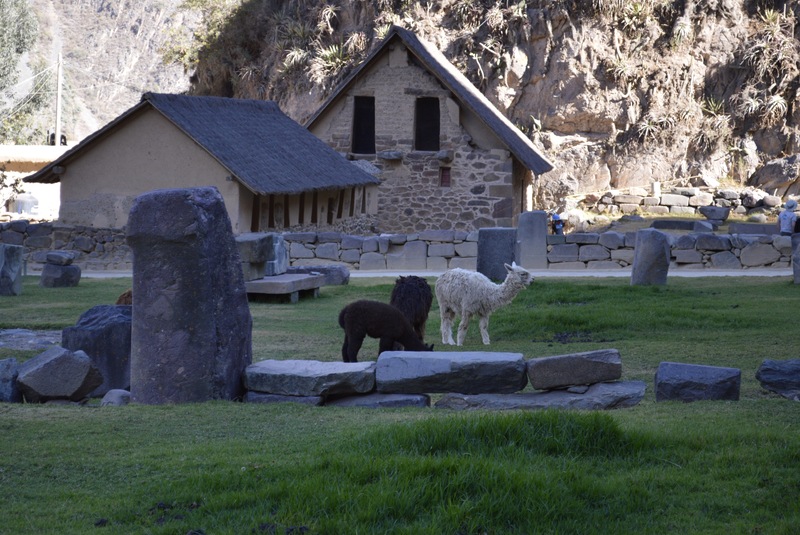 This Andean village is known to the Incas as the rainbow birthplace. 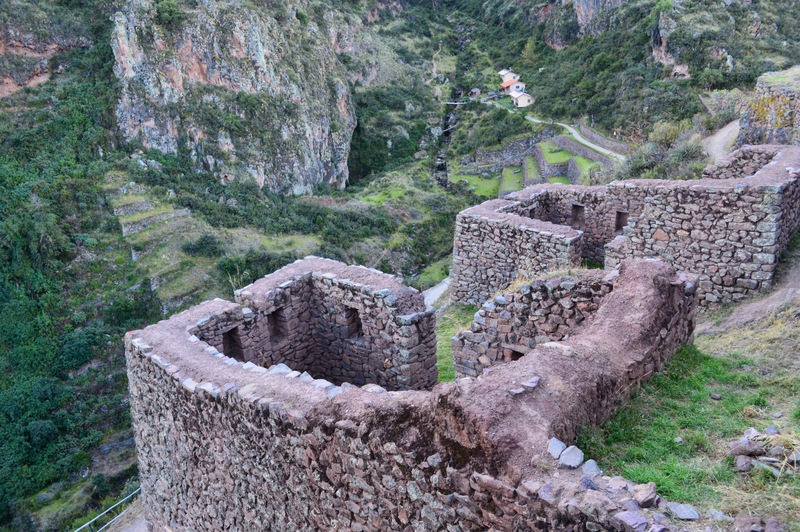 This small village combines ancient Inca ruins and a colonial church. 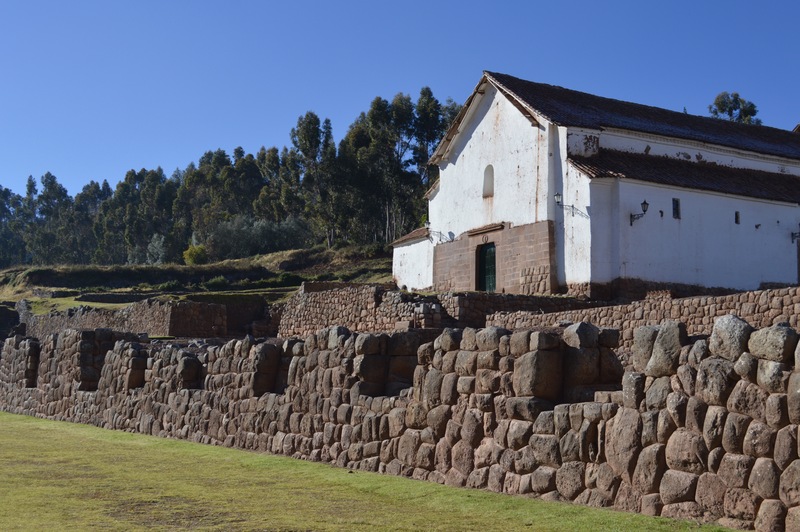 This church was built on top of an Inca palace or temple in the seventeenth century. This was commonly done by the Spanish when they discovered new cities, towns or villages in Peru. This village consisted mainly of mud brick houses and we saw many people dressed in their traditional outfits. 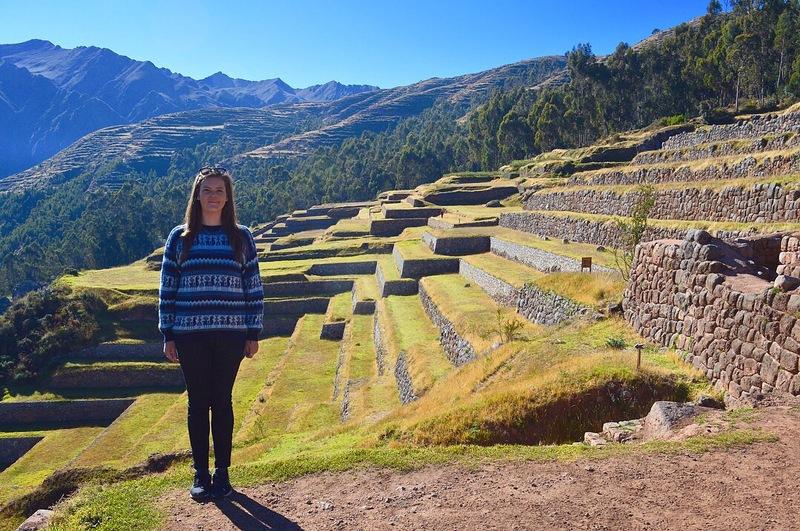 In Chinchero we learnt about Inca traditions and cultures, looked at beautiful agricultural terraces, had good views of the Sacred Valley and could see small rural farms with snow capped mountains behind them. 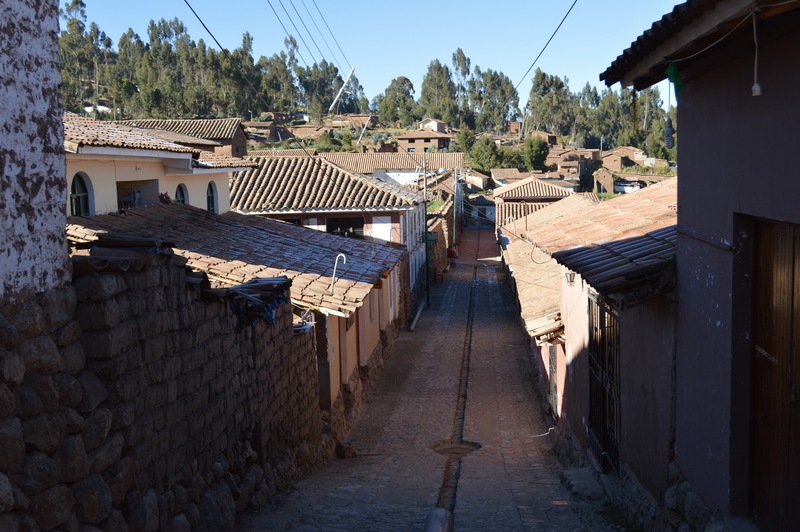 A typical view of the houses in Chinchero. The terraces in Chinchero were beautiful. Our view of the rural farms. 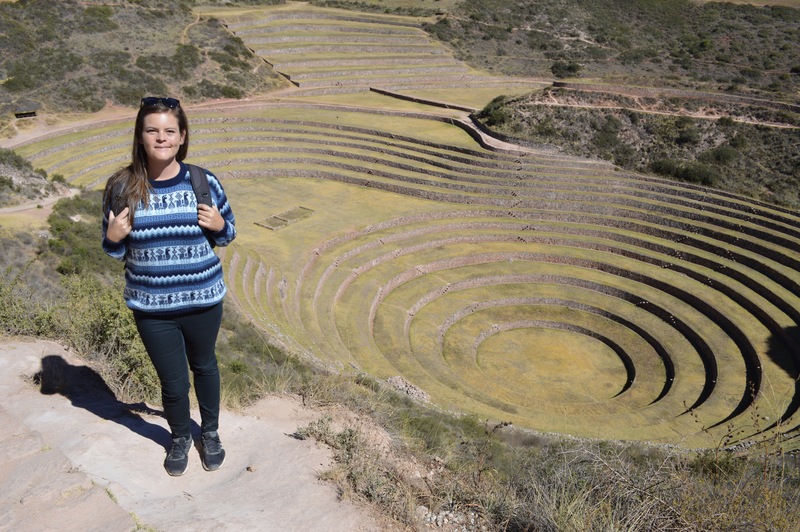 Moray is an unusual Inca ruin that has become a fascinating archeological site. 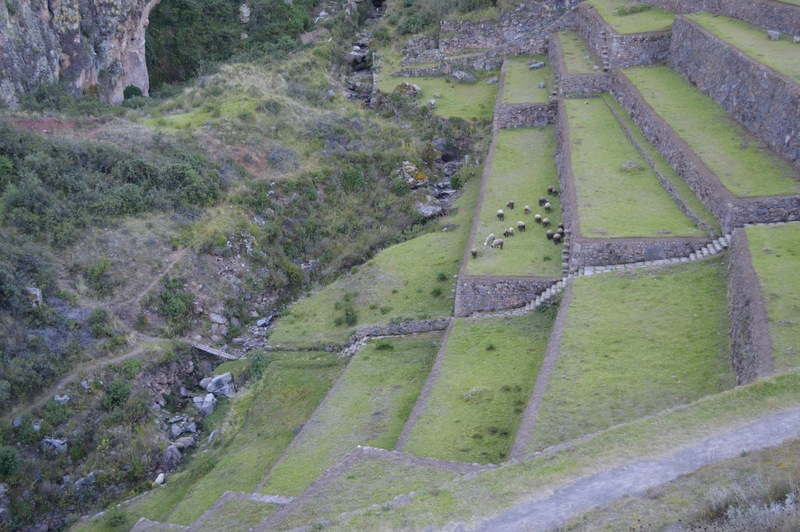 This site contains several terraces that are thought to have been used as an Inca irrigation experiment. The main terrace was huge! 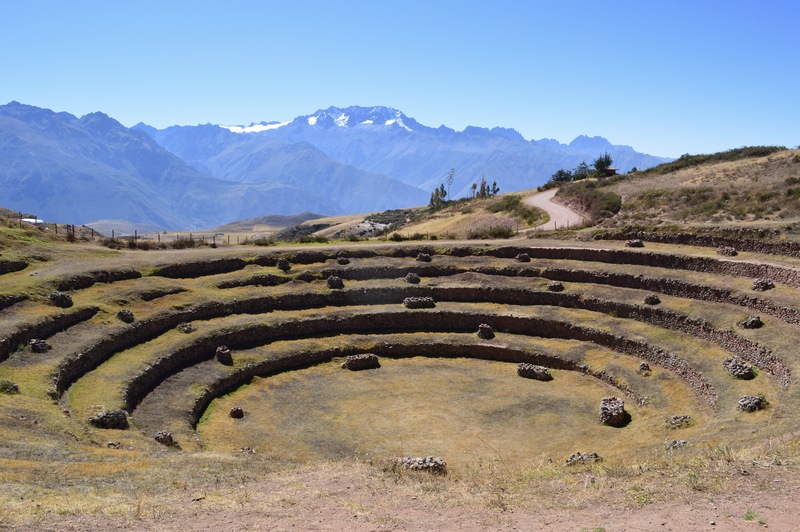 It spanned approximately 700 m and descended by 30 m. The top terrace apparently differed to the bottom terrace by 15 degrees Celsius, therefore archeologists believe that the Inca people used to conduct experiments in order to research optimal conditions for growing plants and crops. Peru is famous for having over 3,000 types of different potatoes. Maybe this is the reason why? The first terrace was huge and seriously impressive. This was one of my favorite stops for the day. We could see snow behind the third terrace. 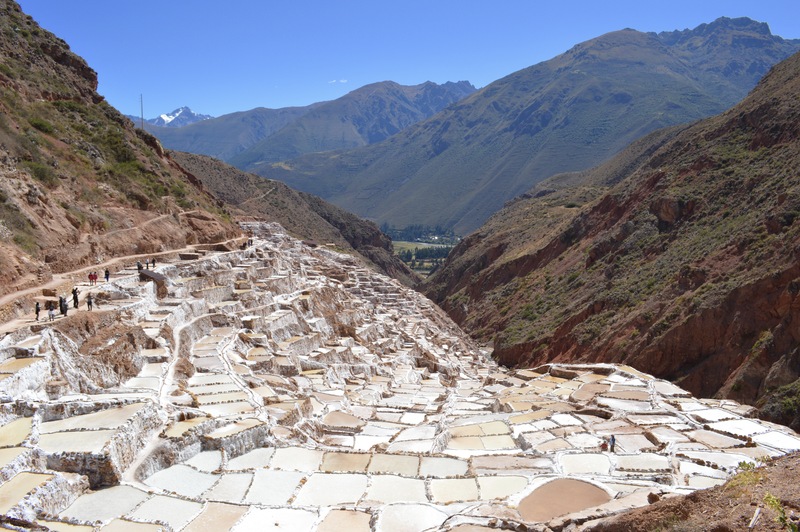 Salineras de Maras or the Salt Mines of Maras is situated on the Qaqawiñay mountain at an altitude of 3,380 m. These mines are actually classified as part of the Urumbamba Valley and not the Sacred Valley, but these mines have been active since Inca times and therefore this destination was included in our tour. Roughly two million years ago tectonic plate activity led to saline water being pushed to the surface in this valley. This tectonic activity also led to the Salar de Uyuni forming. However for Salar de Uyuni, a lake was formed which subsequently dried out, whereas the saline water in Salineras de Maras was trapped in the mountain and now the springwater surrounding this mountain is hypersaline. 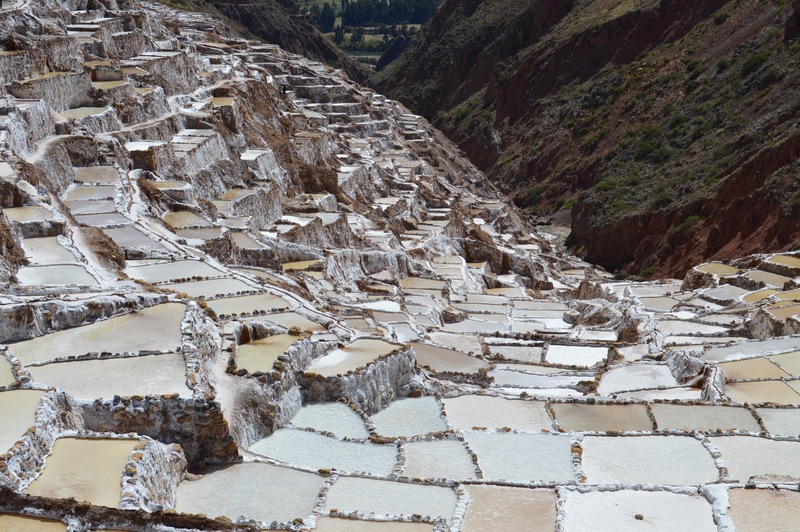 Salineras de Maras has approximately 3,000 salt pans. These pans are shallow pools that the locals run water into and then allow the water to evaporate so that they can harvest the sat. These salt mines were outstanding. They were different colors and lay on the side of the mountain. 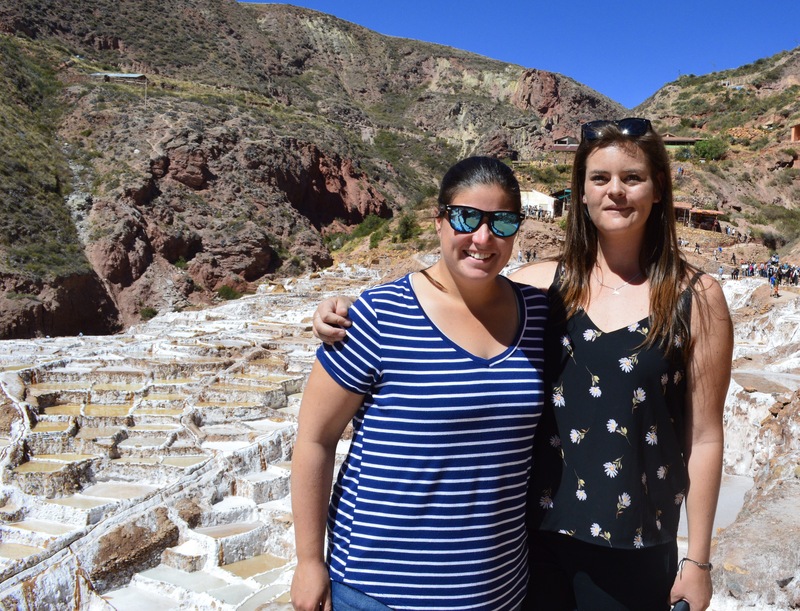 We really enjoyed this stop in the tour and wish we could have spent more time walking in between the different salt mines. The salt mines covered a much larger area than I thought they would. We walked for about thirty minutes and didn’t even cover half of the mines. Each mine had a slightly different color. We really enjoyed looking at his impressive landscape. We stopped for lunch in Urubamba before continuing to Ollantaytambo. This town is one of the oldest in South America that has consistently had people living in it. 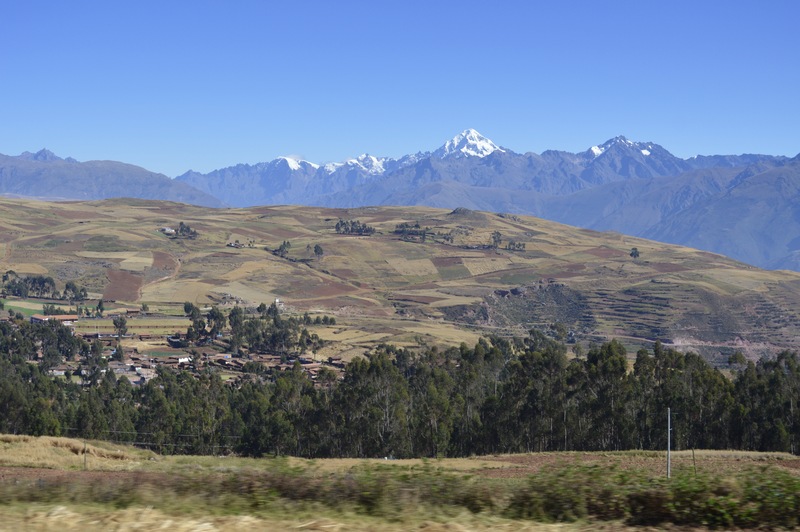 The town dates back to the early 15th century and is rich with Inca history. Our tour guide took us up Temple Hill which is an Inca ruin site that contains a ceremonial center and impressive terraces. We climbed up the terraces to look at the ceremonial center and our guide explained the significant meaning of everything we saw along the way. This town was fascinating and I found it interesting to learn about how advanced the Inca empire was with regards to agriculture and other sciences. 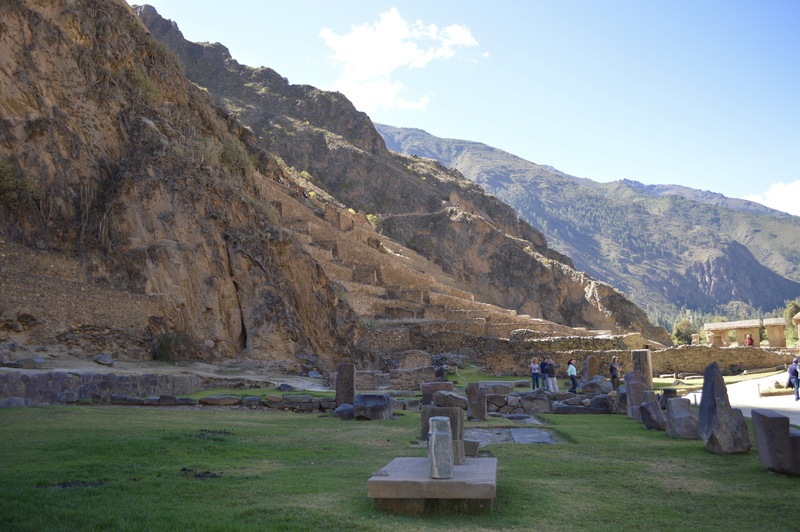 The ruins at Ollantaytambo were a lot bigger than I had expected. The view from the top of the ruins. The valley on the other side of the ruins was beautiful. 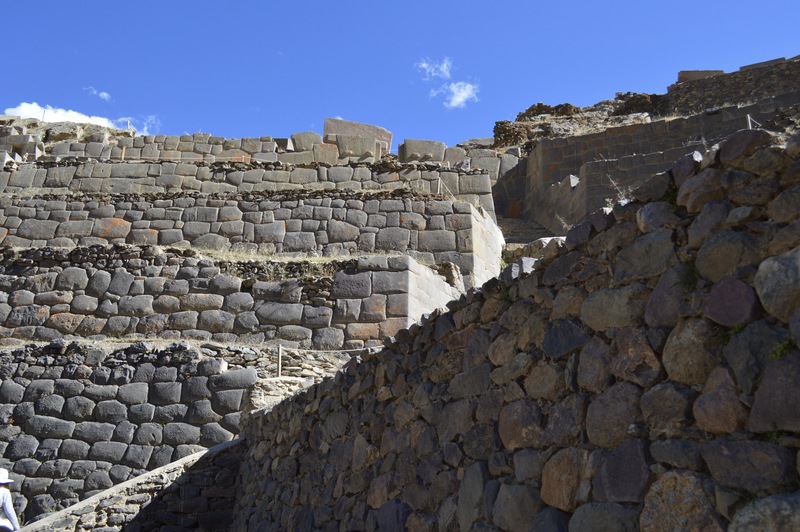 The impressive ruins at Ollantaytambo. Alpacas at the bottom of the ruins. 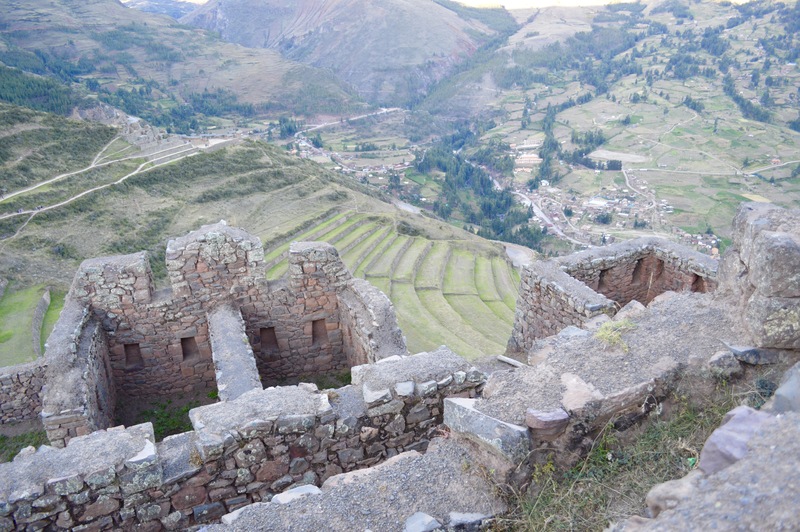 Pisac is one of the most famous Peruvian villages for its Inca ruins. 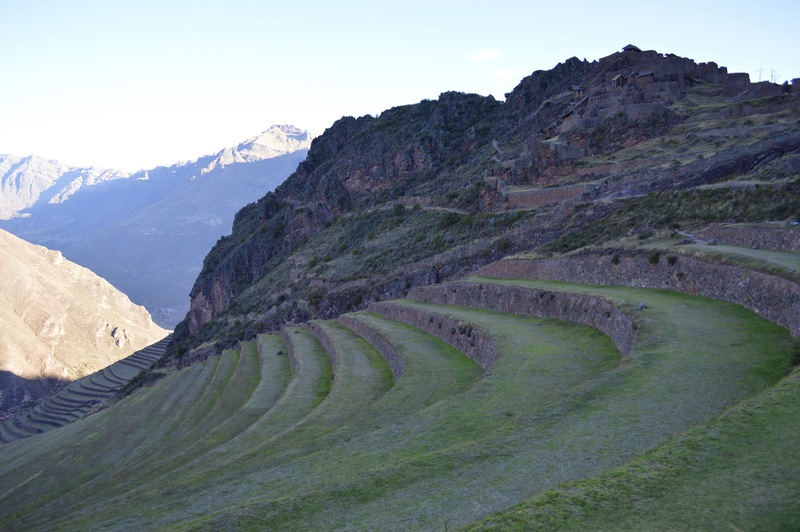 Terraces were constructed in Pisac by the Inac people for agricultural purposes. These terraces are on a steep hillside and are still actively used for agriculture today. At the top of the hill we saw houses which used to belong to wealthy people. The views of Sacred Valley from these houses were breathe taking. This village is also well known for its silver industry. We visiting a jewelry manufacturing site that allowed us to see how the locals made jewelry that related to Inca beliefs. The terraces at Pisac were very impressive. 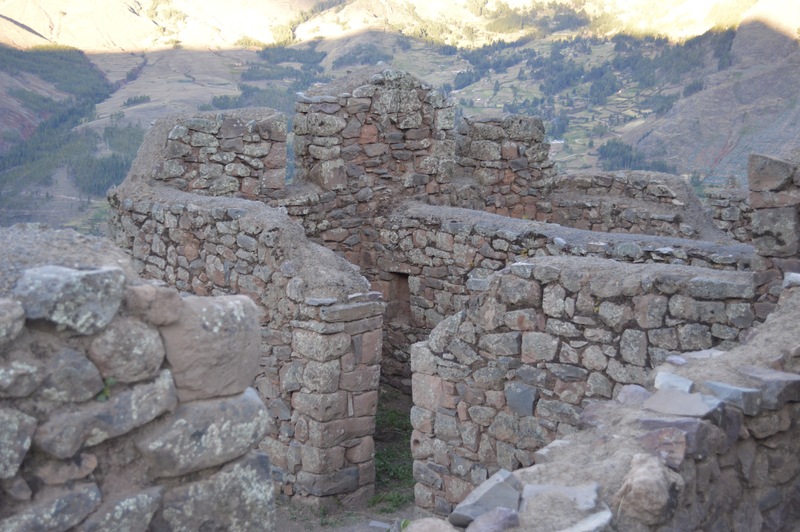 The ruins at Pisac made us feel like we were in another centuary. Seriously beautiful! The ruins have been really well maintained. The terraces are still used for farming sheep. This day was jam packed with different locations, learning about Inca history and seeing beautiful views. After 12 hours of being on this tour we gained huge respect for the Inca Empire. It was interesting to learn how they farmed and how they used science to improve their farming. This was a fantastic tour that I would highly recommend to anyone visiting Cusco.